In the past month or so, there has been a lot of talk about the upcoming Qualcomm Snapdragon 820. 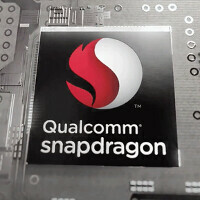 Between Qualcomm's fragmented unveiling of the chipset's hardware specifications and unofficial reports which claim that Samsung is already busy testing and optimizing the Snapdragon 820 for next year's Samsung Galaxy S7, the Snapdragon 820 is drawing a lot of attention these days. In fact, the chip is shaping up to the one of the most important pieces of silicon to ever come out of Qualcomm's labs, especially following the disappointing thermal performance of the current-gen Snapdragon 810. According to a new report from China, Qualcomm President Frank Meng has recently revealed that multiple smartphone manufacturers from around the world have shown interest in using the upcoming Snapdragon 820. Meng said that no less than 30 smartphone models based on the Snapdragon 820 are currently in the planning and design phase. Meng did not mention any particular smartphone makers but given that most high-end smartphones use Snapdragon chips, there's reason to believe that companies such as Sony, HTC, LG, Xiaomi, ZTE, and many others have their eyes set on the Snapdragon 820. According to previous rumors, Qualcomm will start sending Snapdragon 820 samples to smartphone makers in October. As always, once manufacturers start test-driving the new chip, we'll probably start witnessing various leaks that hint at Snapdragon 820-powered smartphones. As revealed by Qualcomm, the Snapdragon 820 will come with new custom CPU cores, a significantly improved Adreno 530 GPU, a new Hexagon 680 DSP chip, as well as native anti-malware protection. Sources suggest that the Snapdragon 820 will be manufactured using Samsung's 14nm FinFET technology, which might help alleviate the overheating problems that we've witnessed on multiple Snapdragon 810-based smartphones. Qualcomm executive: 30 smartphones based on the Snapdragon 820 are ready to overheat. I'm not sure that's a very good indicator, SN810 is known to require throttling yet manufacturers still keep using them due to having no choice. Say that 5 times real fast. The 810 was a disaster. Hope they learn. Wish Samsung would stick to their own cpu's. SD810 is, was, and always will be... crap. With Intel gaining market share and MediaTek creating advanced deca-core chipsets, it seems like the end of Qualcomm Mobile SoCs. Mediatek 10 cores can't hold a candle to the new SD820, and the GPU is not the best you'll find. A different thing is in the mid to low markets, where they are beating Qualcomm. And Intel gaining market share? where? Which phones apart of the Asus Zenfone 2 is using intel? I don't get why so much hate for a company like Qualcomm that have been on the top of the mobile revolution for so long. 30 nuclear bomb over the world . 3rd world war to be initiated by qualcomm? Stop been a moronic fool. Lets hope SN820 is trouble free, I want some good alternatives next year to Samsung. PA need to stop the propaganda machine.. SD810 overheat was caused by 3 factors in order of importance : Big little architecture , Stock arm core and finally the 20 nm build had some part to play in it. Proof is Exynos throlling up to 40% and i had several S6 and S6 edge return for overheating ( not a single M9 btw ) The New SD820 solved all those issues. Quad core instead of crappy big little. Custom core instead of crappy stock core. 14 nm finfett instead of 20 nm.